Green all the way !!! Lea Bassani inspires green environment with her furniture!! What makes it unique is the perfectly curved style of it. Only an artisan could make this and it cannot be copied . Just bought a new home and need to renovate your bathrooms? 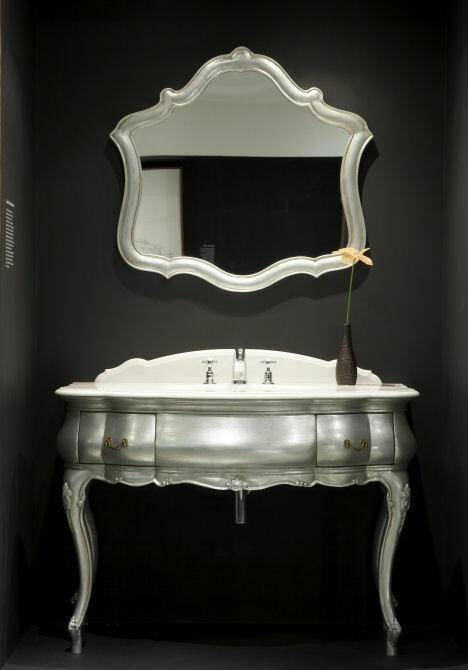 You will find exclusive tiles and Vanities at Lea Bassani. Lea will redesign your space with her unique elegant touch. 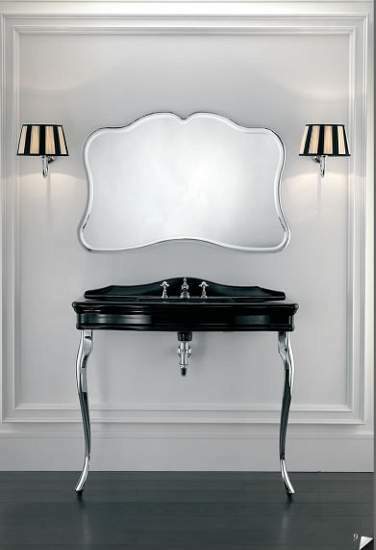 Only Lea Bassani Vanity could make your bathroom or powder room turn into the most elegant and sophisticated part of your home. 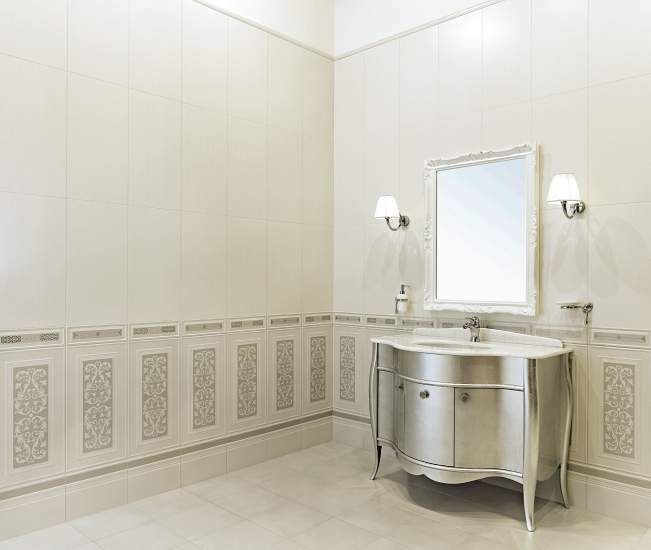 Silver leaf is the color in fashion, so Lea created Valentino Tiled bathroom to compliment her Vanity.